Looking at some of the top news going on these past couple of weeks, we have seen a major news happening around the world. We have seen the infamous Osama bin Laden finally brought down after years of being hunted down for his terrorist crimes. We have even seen the prediction that the end of the world is coming in 3 days time. However what caught my eye was a growing trend that is happening somewhere down under. Originating from Australia, this trend consist of people lying on their front facing the ground and pretending to be a plank of wood, and posing in the most creative places that you can think of for a photo op. So far, it has become a growing phenomenon in Australia and sure enough, it is also starting to catch on in several parts of the world. These people have now even taken creativity to a whole new level, even adding elements of danger into the trend, which is what has become the major concern among the general public. Recently, in an attempt of getting the craziest planking pictures, local Australian news reports that the trend has now claimed several lives due to some death defying stunts. In Brisbane it has been reported that a man falls to his death of a balcony after attempting a planking move on his apartment balcony. In Sydney a man was killed after attempting to plank on a fast moving vehicle travelling on a highway. Even CNN has now reported that death via"planking" is now the most bizarre reports of death to date. Whether it is an upcoming craze or not, it is amazing to see to what limits would people challenge themselves for a thrill. Then again a trend would also be fun if safety measures are taken into account and due to some that failed to do so, a seemingly harmless trend has now escalated to a public concern, as to how far would these people go in order to obtain that perfect "planking move". As for this mediocre blogger's opinion, I do believe that there is nothing wrong with the trend so long that you do not go way beyond the logical capability of the human body. It should remain as a trend that people can follow along but it is a shame that it has claimed lives because of some reckless behavior. A trend like this should be done for fun! Plank on dude!!! Wahaha, love how you're into the trend as well! HAHAHAHAHAHAH!!!! 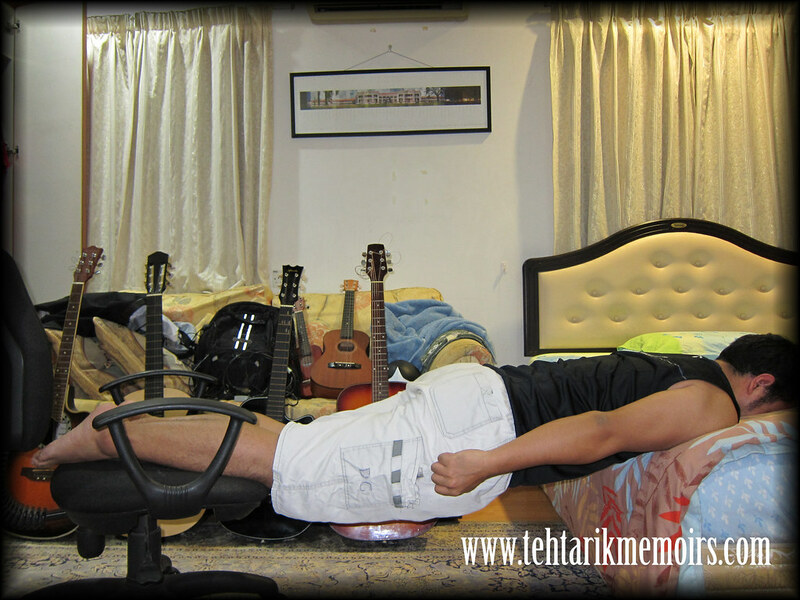 awesome planking! ROCK ON!! !